Viewers were invited to help us wrap and bind ourselves into a wood structure over the course of about 45 minutes, until we were entirely immobilized. Then veiwers were given three pairs of scissors and asked to help cut us free. The resulting installation was left in the gallery for the next month. 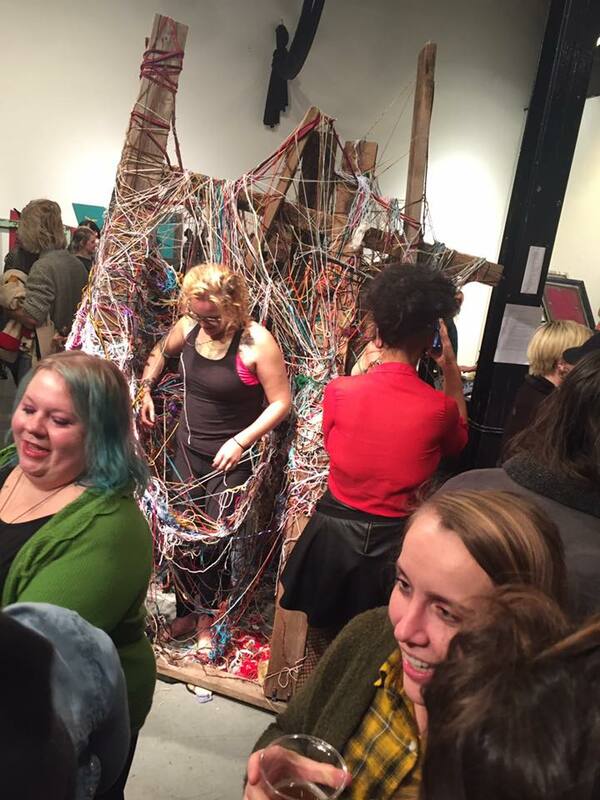 installation and performance with Mary Allen at CO Exhibitions Gallery with the Conspiracy of Strange Girls Collective, November 2016. We invited viewers to help us wrap and bind ourselves into a wooden structure over the course of approximately 45 minutes, until we were entirely immobilized. Then, viewers were provided with three pairs of scissors to share, and were asked to help cut us free from the structure. 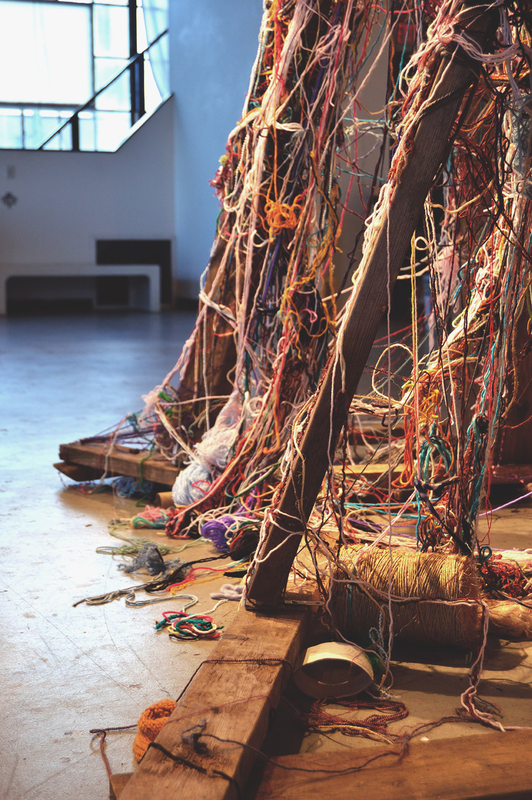 The remaining tangle of cut strings was left in the gallery for the month-long duration of the show.